I bought this pink blazer a while ago, but never had the chance to wear it. 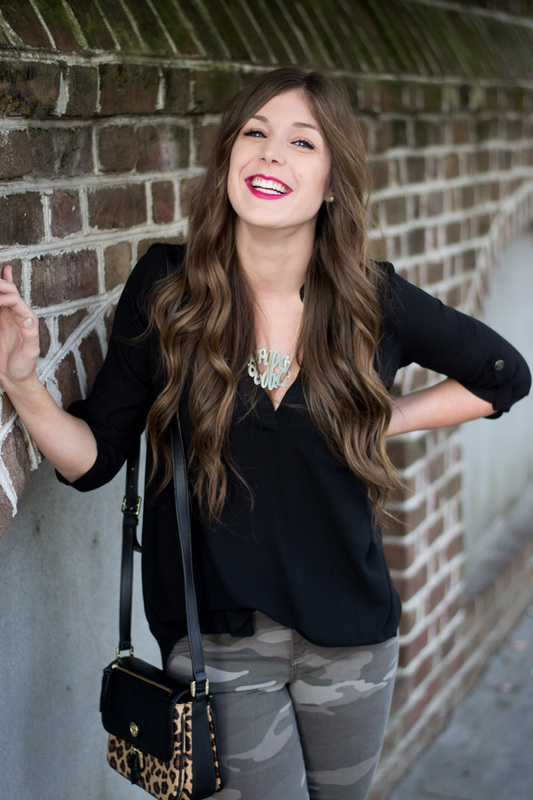 I either never knew how to style it, or had no where to wear it... Until I found this shirt! The second I saw this shirt, I knew I had to have it, and wear it with my pink blazer! 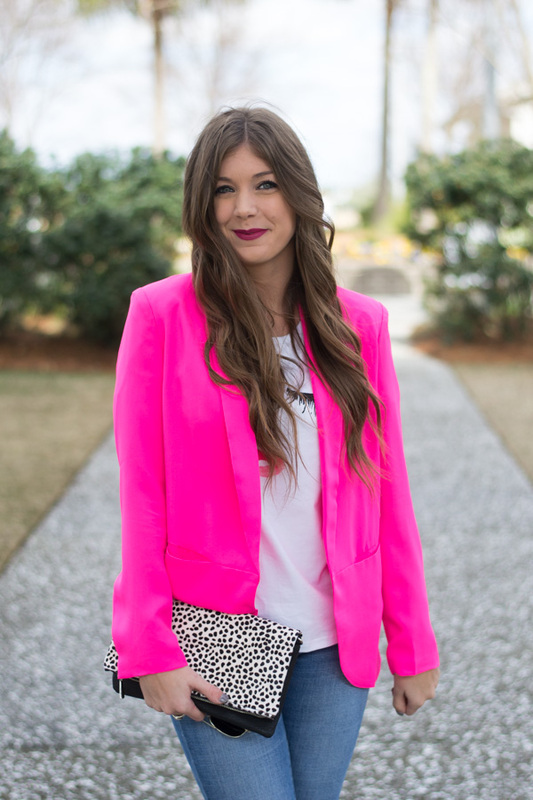 How would you style a pink blazer? OH MY GOSH. I need this blazer + that tee in my freaking life. I absolutely love how you styled this! SO fun. So cute! Love how you made it the center of attention! the color is this jacket is so gorgeous and i love how you styled it!!! SO cute!! I love the pink combined with the polka dots! This is too too cute. Love your style. You look so pretty. Love the look and your hair. Beautiful blazer. 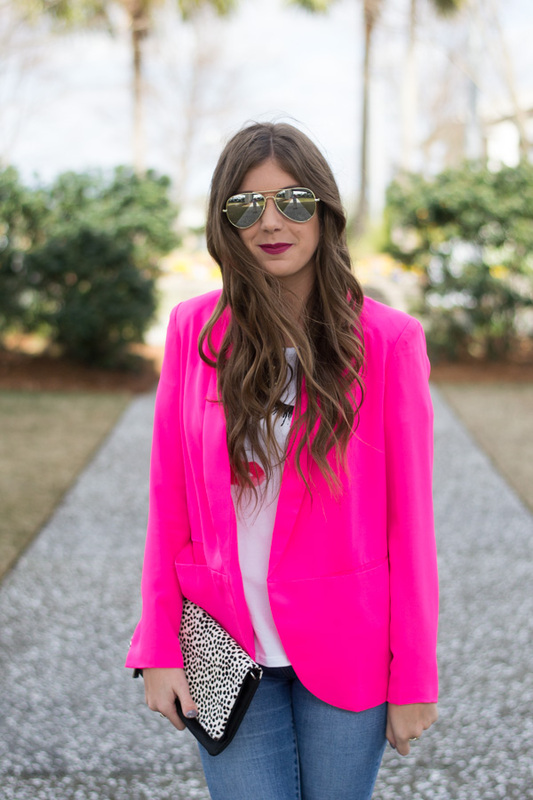 That pink blazer is a showstopper! And I agree pairing it with that top is perfect. I love the pop of leopard print as well! 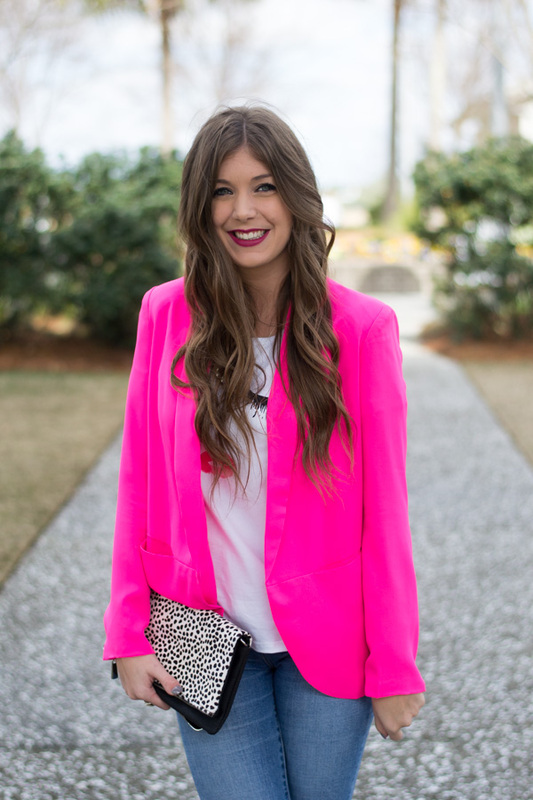 This pink blazer is so adorable! I would love to pair it with a pair of cut off jeans and a plain shirt. This is the perfect jacket. You are simply beautiful!!! Pink is so your color. 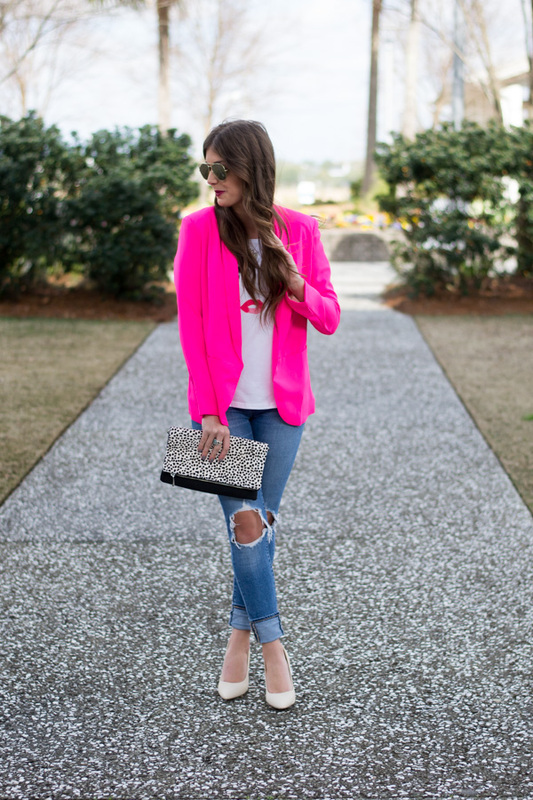 That pink blazer is so cute! I love the tee and clutch with it! You look so cute in this! 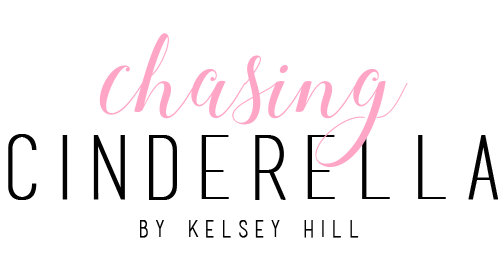 I love the way you paired the pink with leopard! I feel like I told you this in another comment once, But I love your hair. 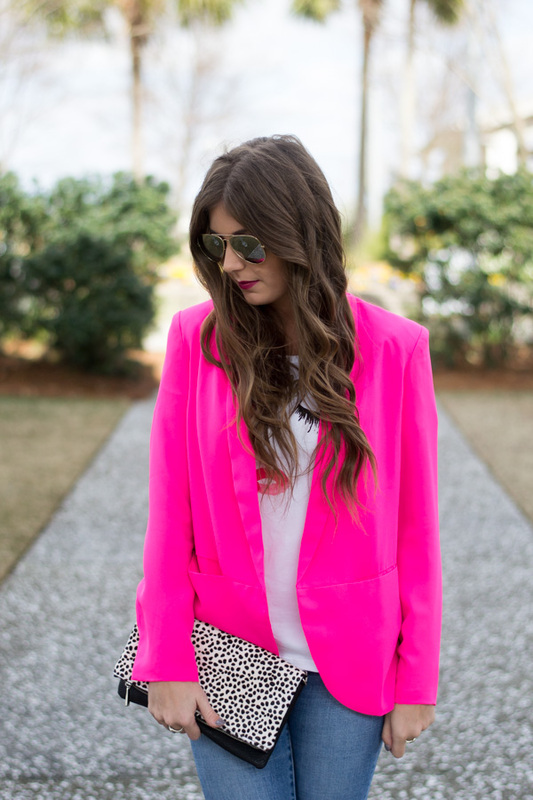 I'm obsessed with this pink blazer! You styled it perfectly!! I would wear it just like this! You look so pretty in pink! And I have that clutch too :) twins! who makes this pink jacket?